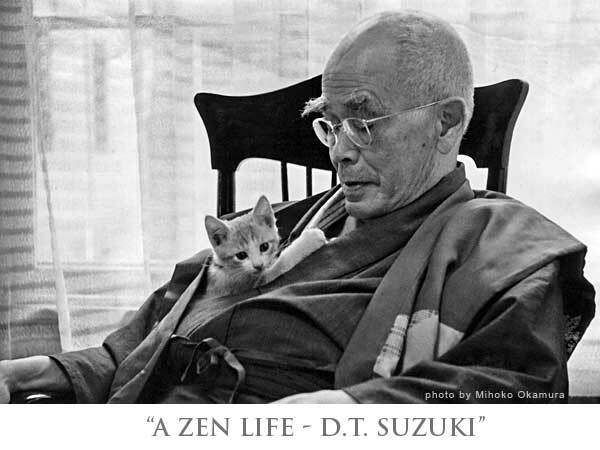 "A ZEN LIFE - D.T. 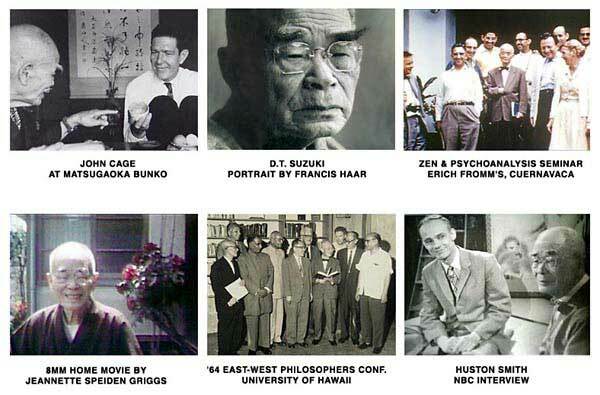 Suzuki" is a 77-minute documentary about Daisetz Teitaro Suzuki (1870-1966), credited with introducing Zen Buddhism to the West. D.T. Suzuki had an excellent grasp of written and spoken English, combined with an exhaustive knowledge of Eastern and Western religions and philosophies. He was highly successful at getting Westerners to appreciate the Japanese mentality, and Japanese to understand Western logic. The effect he had on Western psychoanalysis, philosophy, religious thinking, and the arts was profound. His numerous writings in English and Japanese serve as an inspiration even today. Dr. Suzuki first lived in the United States from 1897 to 1908. In 1911 he married an American, Beatrice Lane, who helped him with his work until her death in 1939. After the War he traveled and taught extensively in the United States and Europe. Of note is a series of very popular open lectures he gave at Columbia University. Many renowned Western philosophers, artists, and psychologists were affected by his writings and friendship, including Carl Jung and Erich Fromm, Christmas Humphries, Father Thomas Merton, Martin Heidegger, Karl Jaspers, Dr. Albert Stunkard, Alan Watts, Richard De Martino, Robert Aitken, John Cage, Alan Ginsberg, and Gary Snyder. Gary Snyder calls D.T. Suzuki "probably the most culturally significant Japanese person in international terms, in all of history." Along with Gary Snyder, there are exclusive interviews of many people respected in their own right who knew D.T. 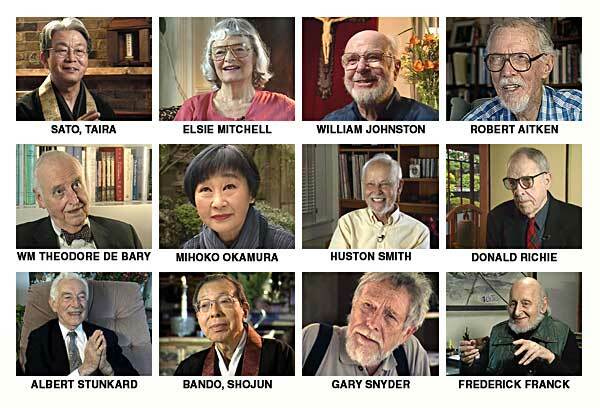 Suzuki in person, including his secretary Mihoko Okamura, and rare footage of Thomas Merton, John Cage, Erich Fromm, and Suzuki himself. There have been few people capable of bridging the logic of Americans and Europeans and the Eastern approach to life as well as he. Indeed, one of the goals of Zen is to transcend dichotomies. The main purpose of this documentary is to "bring D.T. Suzuki alive," and serve to motivate people in the West and Japan to know themselves better while respecting one another. Daisetz Suzuki's message is all the more important now, in light of contemporary conflicts stemming from divergent ways of thinking. 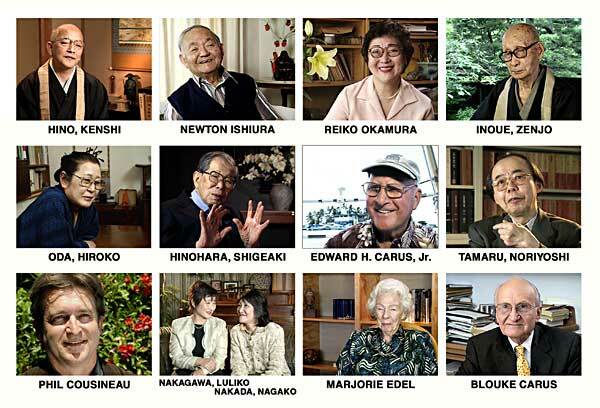 Copyright © 2005-2008 Japan Inter-Culture Foundation All right reserved.